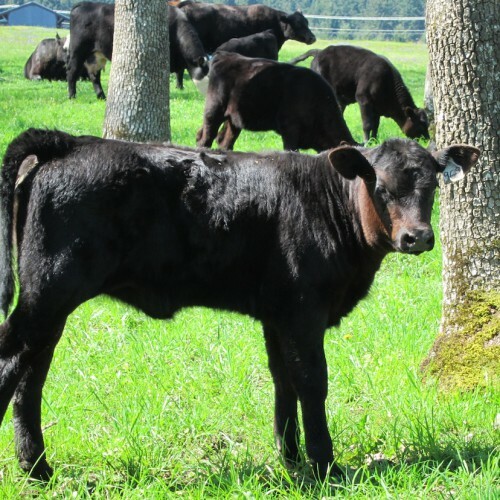 Buy Harlow Cattle Company™ Grass Fed, Dry Aged Beef! Lighter Carbon Footprint: Local grass fed beef uses only small quantities of fuel and few miles on the roads to get from the ranch to the meat case. Conventional beef often takes long and numerous hauls, first to auction, then feedlot, lastly to the slaughterhouse. The meat is then trucked to a processor for cutting, then to a distributor, and finally to a retailer who sells the meat to the customer. Local beef is healthier for the environment… the cattle… and you! The Harlow Cattle Company herdsmanship practices a “closed herd” policy. 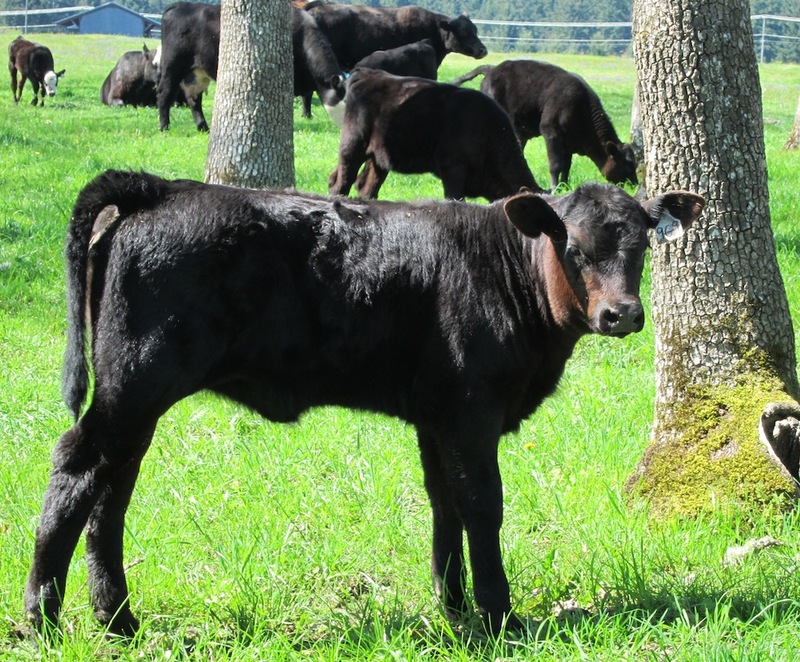 Cows, calves and feeder cattle are all born, raised and reside on the Harlow Cattle Company ranch. A “closed herd” means no unknown quality, diseases or poor growth traits or carcass characteristics come to the ranch. Our bulls are the only purchased stock brought onto the ranch. Each bull is selected to bring characteristics to improve the herd such as calving ease, growth characteristics, conformation (how they look on the hoof), carcass quality (rib eye size and marbling), and temperament. 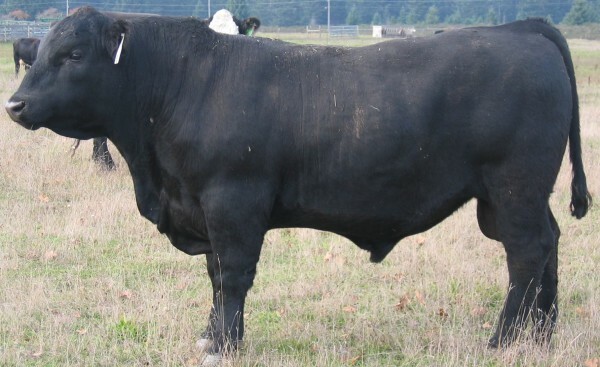 All bulls purchased are registered in their breed association (Angus and Herefords), meaning strong, influential genetic codes are passed on to the calves to improve the herd through offspring. 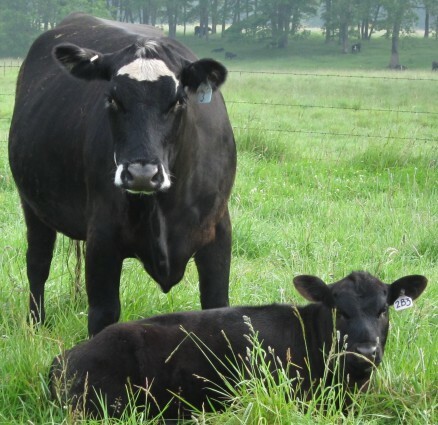 The Harlow Cattle Company raises and grows grass fed beef the right way; using responsible, all natural husbandry practices, not modern factory meat production. Our cattle never receive growth hormones or antibiotics because they are never in a feedlot. Because our cattle are never held closely together or fed unnatural foods (grain and/or meat byproducts), our cattle do not require antibiotics to prevent unnecessary illness as the usual practice in large feedlots. Our all-naturally managed cattle roam, graze and grow to maturity on the prairie expanse and bottomland pastures of the ranch during the growing season. The winter months find our cattle put on firm, prairie pastures where high-quality hays are fed in large wooden feeders towed daily to avoid damaging the soils. Instead, the trampling of the manure, and stirring of the ground improves the soils, which creates more humus, which ultimately increases grass production, while keeping the carbon dioxide underground. Quiet, humane-handling techniques are exclusively used at the Harlow Cattle Company to reduce stress on the cattle (and the cowboys and cowgirls!). The practice of humane handling is necessary for happy, content cattle, excellent growth rates and a benefit to beef quality. Puget Sound Meat Producers Cooperative provides USDA slaughter service using a Mobile Processing Unit hauled to USDA inspected and approved farm locations for USDA inspected, slaughter. A farm environment provides our cattle a small-group, humanely-handled harvest. Each grass fat steer takes an hour to PSMPC USDA butcher. Conventional slaughterhouses kill up to a steer per minute in a production line situation; forcing animals up chutes to the top floor of a building, with strange cattle in frightening, unnatural surroundings where the smell of blood prevails. Discomfort is acute and terror reigns. 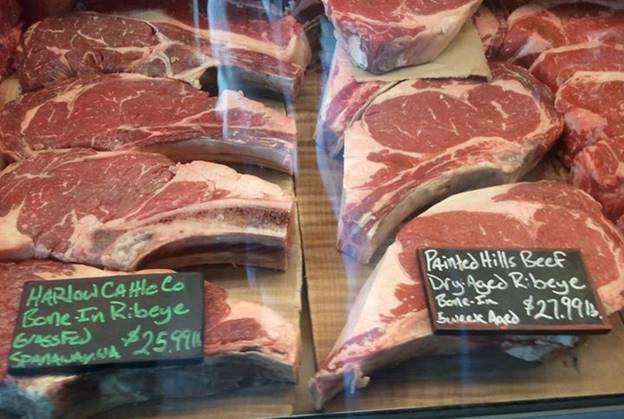 Harlow Cattle Company beef is dry aged on the hook at Heritage Meats in Rochester, Washington for 10 to 28 days in refrigerated lockers. Dry aging enhances flavor and helps tenderize grass fed beef. Dry aging is the way all beef used to be handled, the artisan way. 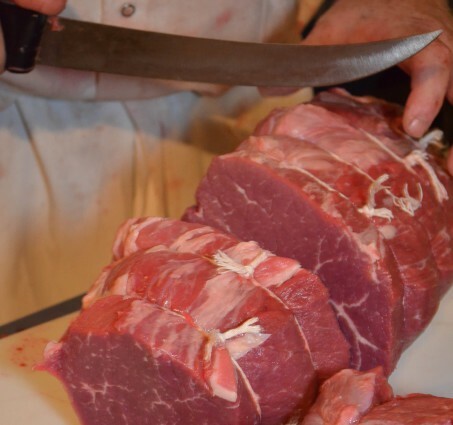 Today conventional, grocery store or restaurant beef is processed (cut) wet with no hang time (dry aging). Wet cutting keeps weights high due to moisture. Sold by weight, wet processed beef brings in more money and sacrifices quality. Wet processing keeps handling costs down, reduces the locker size needed to dry hang beef, and expedites the handling of the beef. Conventional beef is slaughtered, cut, packaged and shipped to distributors within 2 to 4 days of the date of harvest. Artisan butcher Tracy Smaciaz dry ages each side of Harlow beef as our customer requests and processes to the specification of Harlow Cattle Company’s customer instructions. The result is the highest quality, premium, grass fed beef anywhere! Harlow Cattle Company rib eye steaks vs. Painted Hills rib eye steaks. The comparison shows grain finished Painted Hills beef* (north central Oregon) next to Harlow Cattle Company grass finished beef (central Pierce County, Washington). The both rows of rib eye steaks show desirable size and excellent marbling (fat streaks in the meat). The marbling ensures exceptional flavor and guarantee tender beef. “Can you tell which one is 100% grass fed? 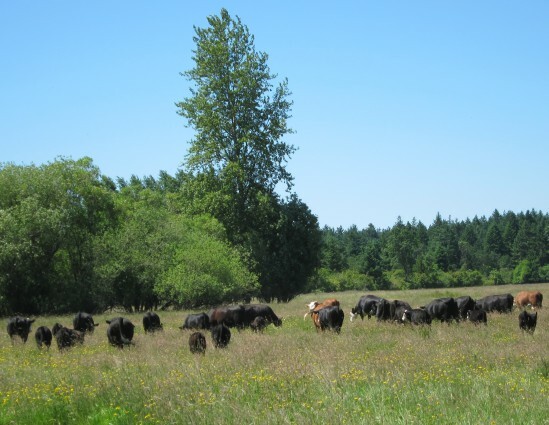 If you haven’t tried Harlow Cattle Company Grass Fed Beef yet come by and give it a shot.” Russ Flint, Rain Shadow Meats, June 16, 2012. Buy Harlow Beef For All the Right Reasons! 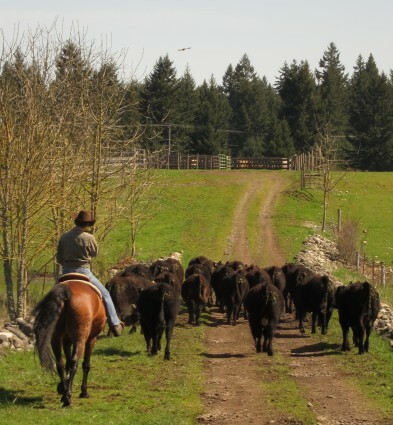 *Painted Hills grain finished beef is considered top quality Oregon grain finished beef.